Despite everevolving definitions, the concept of the third world serves to identify countries that suffer from high infant mortality, low economic development, high levels of poverty, low utilization of natural resources, and heavy dependence on industrialized nations. These are the developing and technologically less advanced nations of Asia, Africa, Oceania, and Latin America. 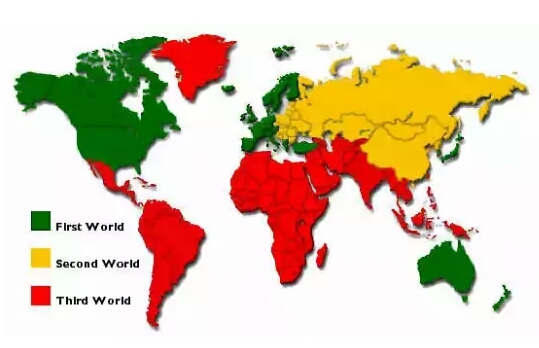 Third world nations tend to have economies dependent on the developed countries and are generally characterized as poor with unstable governments and having high rates of population growth, illiteracy, and disease. A key factor is the lack of a middle class — with impoverished millions in a vast lower economic class and a very small elite upper class controlling the country’s wealth and resources. Most third world nations also have a very large foreign debt. Is Indonesia a First World or Third World Country? In 2011, Indonesia’s gross domestic product grew 6.49 percent and Finance Minister Agus Martowartodjo claimed the title as Best Finance Minister of the Year 2012 – Global and Asia-Pacific award from the Banker magazine. Our GDP per capita was about $3,500 in 2011, putting Indonesians in the lower-middle income class. In late February this year, the Economist reported a poll, conducted by research company Ipsos, that measured degrees of happiness. The survey showed that Indonesians are among the happiest people in the world, followed by people in India and Mexico, with South Koreans placing at the bottom of the list. The results raise an important question about the validity of the research. Despite the frequent positive news, about 12 percent of the population live on less than $2 per day, and the gap between the rich and poor in Indonesia is worrying. The contrast is evident, especially in Jakarta, where the gap between the middle class and the poor resembles the gap between people in the first world and third world. The government can boast that Indonesia has reached investment grade, meaning that more money will become a target of foreign investors. More factories, roads and infrastructure are being built. However, these economic developments are still not inclusive. They are alienating those people who are systematically poor. The disabled people, for example, are still unable to compete in the job market equally due to their disabilities, and they have no other option but to become beggars. More money will become a target of foreign investors, more factories, roads and infrastructure are being built. However, these economic developments are still not inclusive? The perception of [Indonesia being] a failed state has diminished” after sailing through the financial crisis in 1997/1998 and 2008/2009. After the 1997/1998 Asian financial crisis, Indonesia was in a “very critical” situation and was perceived as a country that could fail and go bankrupt, with negative economic growth and market players losing confidence in the financial and banking industries. At present, however, Indonesia is known as the world’s third-largest democracy and Southeast Asia’s biggest economy. Indonesia is no longer a Third-World economy as has been labeled in the past, and is moving closer to becoming one of the world’s ten largest economies.